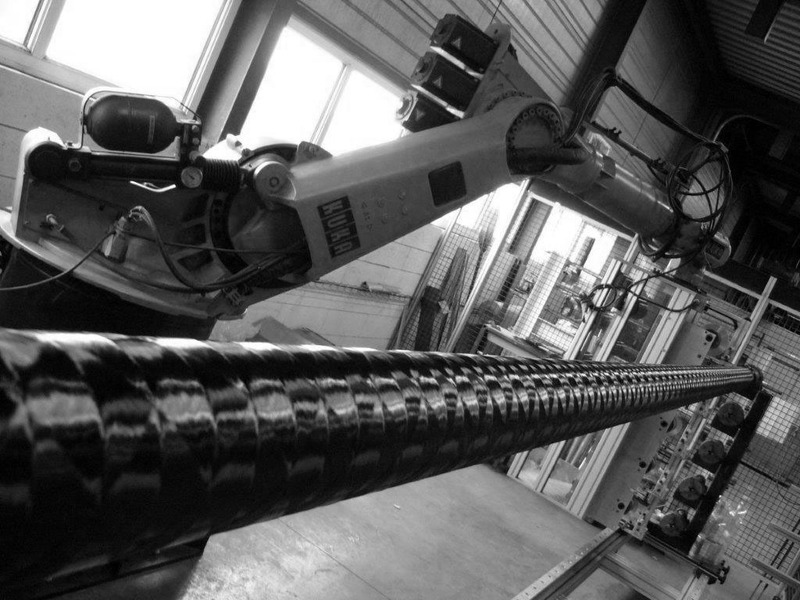 This process consist to deposit, a prepreg carbon fiber on the rotating mandrel. The sweep of the robot in front of the mandrel will create different coat : fiber orientation and coat sequence determine the stiffness and the resistance of the pieces. MATEDUC Composites - tubecarbone.com operate with 2 filament winding automate, which are able to spool carbon tubes on 5 levels and to 4.6 meter length. The tubes can measure a diameter of 6 mm to 1 m with angle variation for deposit fiber. This kind of production can adapt according to requirement specification (filament winding program, production, temperature).
. Adaptable to all mecanical stress. These tubes are called "Technical Tubes" on our shop. They can support multiple load cases, and are suitable for CNC steps (milling, drilling etc...). Carbon tubes : This tubes are less performant in bending stress but they are polyvalent : good compressive stress, torsion stress and support a temperature of 130°C. Hybrid tubes : 2 products : carbon-glass and carbon-aramid. Both link design and technicity. Glass tubes : Glass tubes can be used for application needing tube insulation, a good internal pressure resistance and high temperature environment (130° max).